The Cookie Monster and Twitterthon highlight the need for rapid change in public sector digital strategy. The Cabinet reshuffle unfurling on Twitter and the Cookie Monster getting interviewed on Newsnight bizarrely led me to ask some fundamental questions on the use of social media in the public sector. Stay with me here. Until recently, political geeks would watch the soap opera-style intrigue as well known faces emerged from Number 10 looking sombre from sacking or joyful from promotion. The same anoraks could watch the highlights on the BBC2 late-night show. Those days are gone. Reshuffle announcements and analysis are replaced by a tickertape Twitterthon from @Number10gov and a blue puppet shouting at a camera. "Desmond Swayne has been appointed as Vice Chamberlain of HM Household (Senior Whip). #reshuffle" and the word "cookie" simply don't give me the same degree of insight as I like, in a format I desire or in the language I want. It was the tickertape Twitter that got me thinking about channel understanding, while Cookie Monster got me musing about language. Has the public sector really understood these new social technologies or grasped the changes in behaviour and language needed to use these tools for the benefit of the public? Sadly, the answer has to be "no". There are notable exceptions, yet the reshuffle demonstrated that even Whitehall is prone to using modern communication tools in a broadcast-only fashion, churning out technically worded statements without making use of the conversational power that social media offer. Examples of success in social media are evident in the emergency services where they are used to catch crooks (@GMPolice), stop fires (@London-fire) or alert people to floods (@EnvAgency). But they are a rarity. Predominantly, the public sector continues to stick to the reassuring one-dimensional Luddite world of unfocused announcements rather than one of listening, asking, embedding or encouraging action. Cookie Monster on Newsnight demonstrated to me that the public sector is also failing to understand the changes in language and channel use of the people it serves. One in four households has a tablet; phone calls are going the way of the letter; smartphone ownership among kids is falling; there has been a six per cent drop in email traffic in a year and one in three people has a reading age of an 11-year-old. If you raise your eyebrows at any one of these stats, then you have proved my point. These are gargantuan changes in the way people communicate. The public sector has to get on board. Fast. If Newsnight has the confidence to interview a puppet, then it must understand its audience. We need to get that same understanding so we have the confidence to carry messages in whatever way is needed to make people stop, hear and do. When a boggly-eyed blue puppet with a one-word lexicon, combined with a mild rejigging of mid-ranking ministerial posts, can generate that much head scratching imagine what a really interesting series of current affairs topics could do to public sector digital strategy. 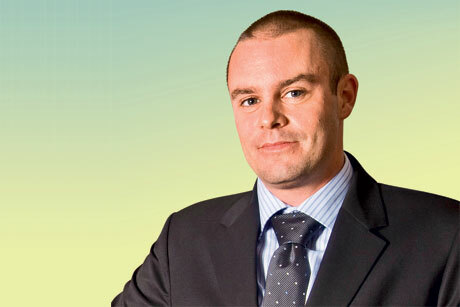 Richard Stokoe is senior comms adviser at Brent Council.